Late last year Whole Foods Market invited some bloggers to talk about their latest efforts to be more than just a grocery store. These efforts include a partnership with Global Animal Partnership to introduce new meat rating system called the 5-Step Animal Welfare Rating and exclusive wines resulting from a collaboration between Whole Foods and local wineries. If you've read Michael Pollan's books, you're probably aware that "free range" labels on eggs, milk, and meat don't necessarily mean that the animals were treated well or were even let out of their cages much. The 5-step rating goes beyond simple designations such as "organic", "free range" or "sustainable" but just how well are the animals being treated? To be step-rated to begin with, the farm couldn't use cages or crates. 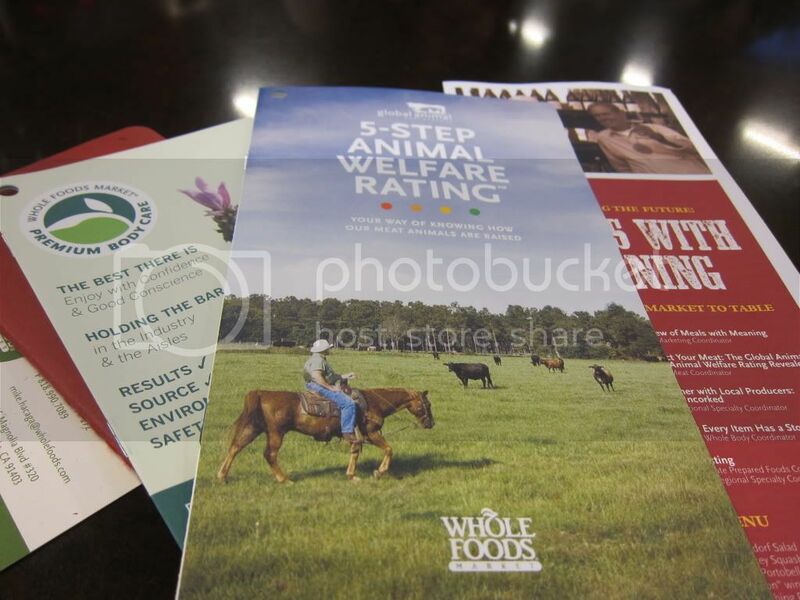 Many of the WFM locations don't actually have all meats with the highest Step 5+ rating, which required the animals to have spent their entire lives on one farm, cattles and pigs must be slaughtered on the farm and chicken can only be transported a short distance, on top of having no physical alteration of the animal like ID tags (step 5). I'd imagine each step up will be more expensive too but at least you'd be able to deliberate over the benefit vs. price difference yourself. The Whole Foods Market Southern Pacific Region has been working with some Santa Barbara County wineries to create blends exclusive to Whole Foods. 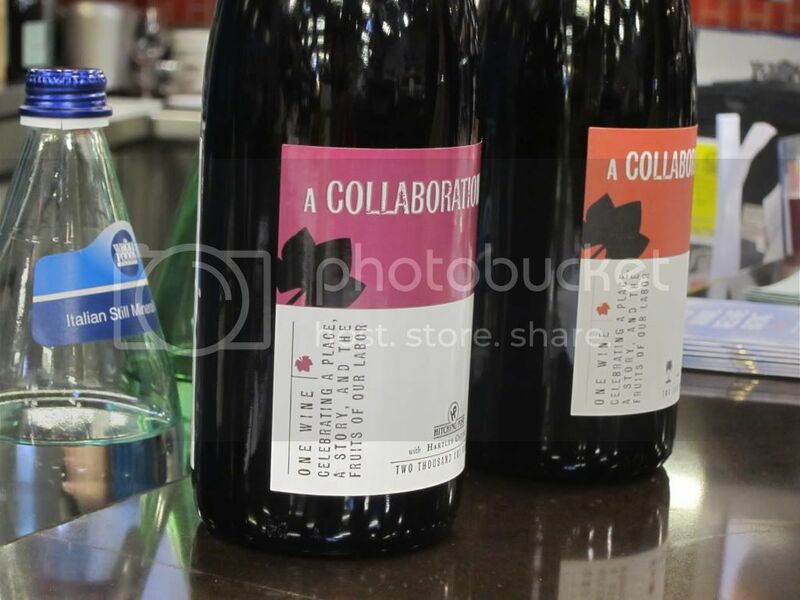 In Fall 2010, they released two wines named "A Collaboration". The first wine is a blend of six Santa Barbara Country vineyards created by Margerum Wine Company and is based on their M5 wine. This wine is priced at $19.99, a deal compared to their M5. According to Whole Foods' Regional Specialty Coordinator, Claude Ruau-Choate, this wine is representative of the European palate while the second is more California with its fruit forwardness. The second wine comes from Hitching Post Winery and features 73% Valdiguie and 27% Syrah, priced at $12.99.